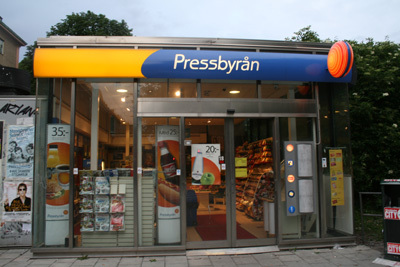 After a trip downtown to buy a cardigan, a stop at the post office to pick up my three new Håkan Nesser books, dinner, reading the newspapers and some icream, I wanted to watch some TV. I flicked through the channels and stopped on SVT1. What did I find? 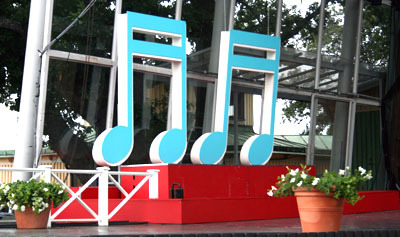 The premiere of Allsång på Skansen! Did that bring back some memories? Oh yes it did. Tons of memories hit me straight in the face. About a year ago, actually a year ago tomorrow to be accurate, me and Ellen went on a five-day trip to Stockholm. What a trip! we needed to explore this beautiful city. There were sightseeing in Djurgården by boat, which was very nice. Junibacken (the world of Astrid Lindgrens characteres) got a visit. We had a lovely time with all the kids. The crazy Per-fan (that’s me) visited Mr. Gessle’s front door at Strandvägen 39. We ate at some great restaurants, shopped at some supercool stores, had a great time at Gröna Lund where we rode some great carousells, ate some magnificent pizza and watched Timbuktu live! Overall we had a great time in Stockholm. There is something about Stockholm. It hit me right in the heart. Somehow I just completely fell in love with that city. I get all happy when i think about it and see pictures I’ve taken. There is something about that town that blew me away. 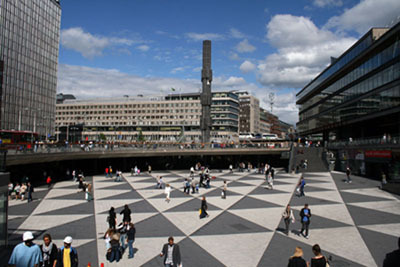 The friendly people, the great places to eat, the shopping oportuneties, Sergels Torg (which is the picture above), the aquariums, Skansen…. Looking at Allsång på Skansen, made me think of all this. It makes me wanna go back there! Like… soon! I wanna have a five day trip to Sthlm again. Oh and btw, Håkan Hellstrøm and Miss Li was on the opening show. Håkan is cool as always. Miss Li, she’s sort of new and up-coming. Her performans was great! I loved it. Didn’t the get name of the song, but I will sure check her out. I already got some songs by her, but i haven’t really listend to them. Only one or two a few times a while ago. Ps. Here are some pics from Sthlm.